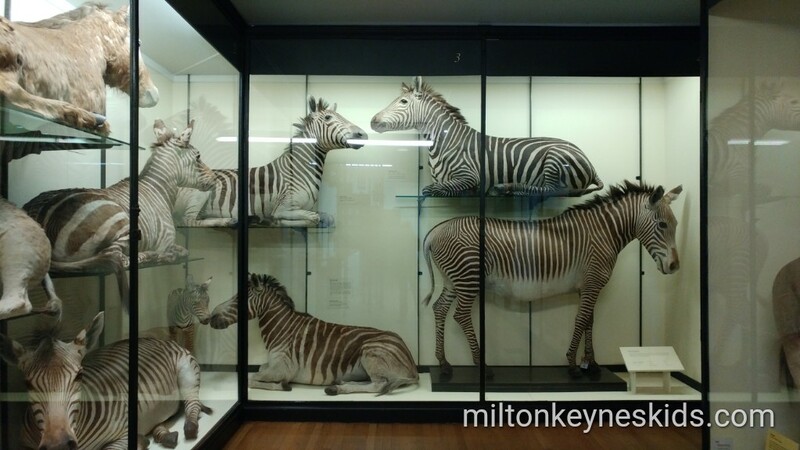 The Natural History Museum in Tring is a museum like no other. It’s a relatively old building that houses 4000 dead animals. You can visit for free. This is the second time we’ve been and it’s definitely worth going – although I’d bear several things in mind before travelling which I’ll mention later. 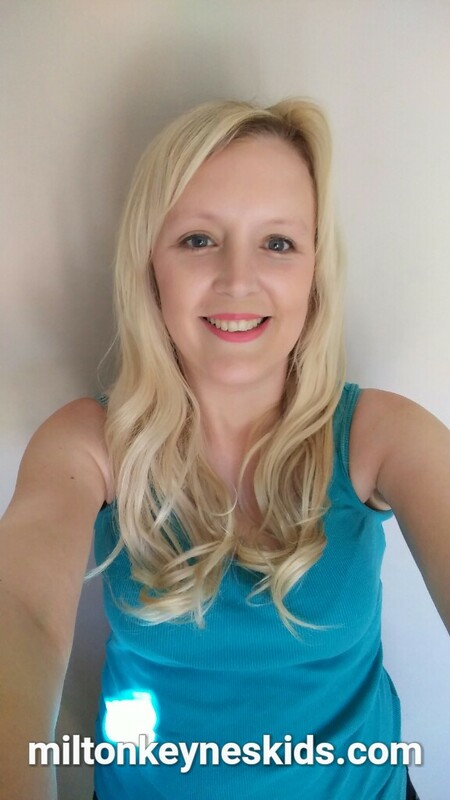 We went in January 2018 – prompted by my 4 year old’s homework to find out some facts about elephants. Rather then google, we decided to do something fun instead. Watch our video below and then scroll down for more information. 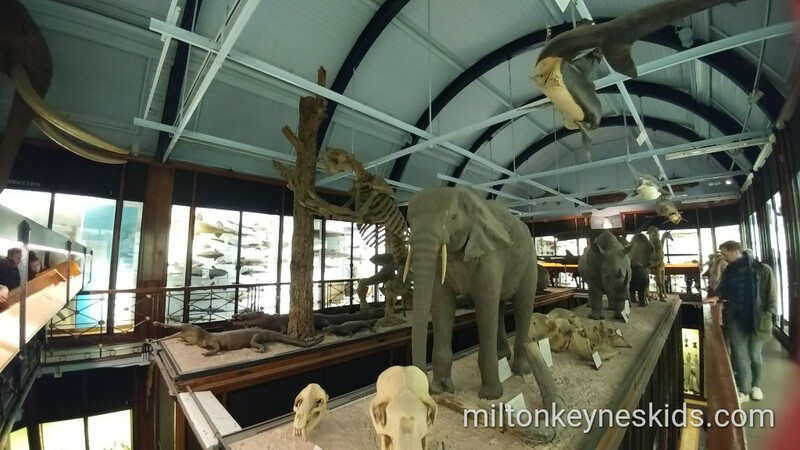 What is the Natural History Museum at Tring? The museum is a weird and wonderful collection of 4000 animals. And it has to be said it is weird. They were collected by Walter Rothschild from when he was a child, and in 1892 he opened a private museum to house them all. Upon his death it was gifted to the nation so that everyone could visit. It’s a Victorian building and most of the animals are behind glass. They’re located in a number of galleries on several floors. Where is the Natural History Museum in Tring and when is it open? The address is Akeman Street, Tring, Herts, HP23 6AP. It’s open all year round apart from 24- 26 December. When we visited it was open Monday – Saturday 10am – 5pm and Sunday JUST AFTERNOONS 2pm – 5pm but do check their website before you travel in case it’s changed. It’s FREE to go there but you could pay to go in temporary exhibitions or for any activities that are on. 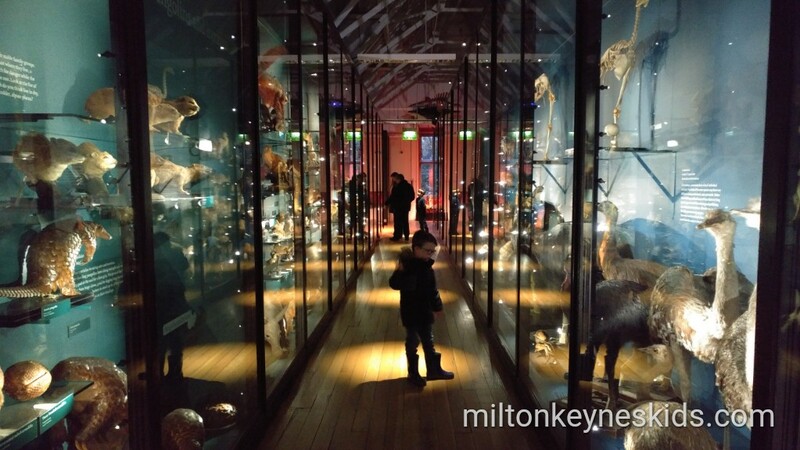 What did we most enjoy about the Natural History Museum in Tring? We visited in January 2018 when my boys were 4 and 2. They both love animals and so found it fascinating to get up close to them. My youngest is too young to question why they’re there. My eldest knew they were dead but he didn’t seem scared, just curious as to how they ended up there. They most liked seeing the bigger animals like the elephant and the lion, tiger and monkeys. Although there are stuffed animals in other museums, this is by far the biggest collection of them. As my eldest is starting to learn facts about animals seeing them prompted lots of conversations and was a fun way of learning. We spotted one badger that you could stroke which my youngest liked. 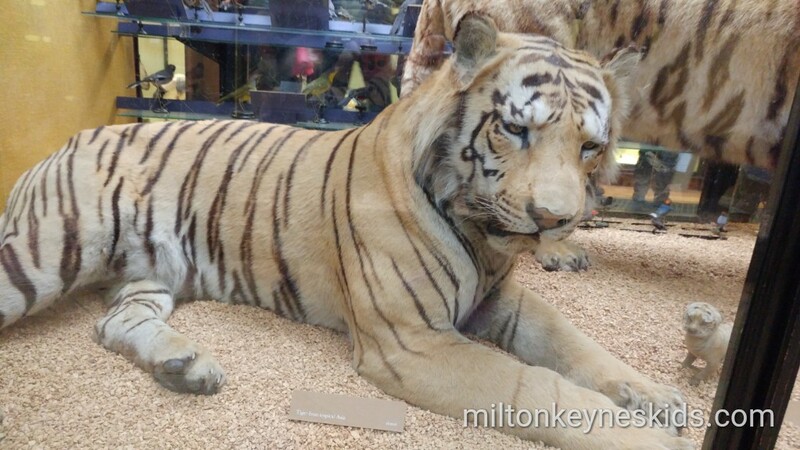 What does the Natural History Museum in Tring lack? What you have to bear in mind is that the museum is really old, as are the specimens, so lacks much of the interactivity that modern museums have. I’m always keen to take my boys to fascinating places, but being the age that they are they like to pick up things, try them out, climb on stuff and really explore, this isn’t the place to do that as it wasn’t obviously designed with the children of 2018 in mind. There is one room that is a bit more interactive where you learn about Walter Rothchild’s life. That said there are cases and cases full of animals so there is loads to look at. What else do we need to know about the museum? On a wet day in the school holidays the museum can get VERY BUSY so be prepared for crowds if you want to go then – it would be difficult to navigate a buggy around part of the museum. If you want to go when it’s quieter and have pre-school children then I’d suggest you go in term time in the week. And just in case you missed it earlier up, make sure you check the opening hours particularly if you think you might go on a Sunday – it’s only open for a couple of hours. If you are thinking of going in the school hols then have a look at their website to see if they have any extra activities on. 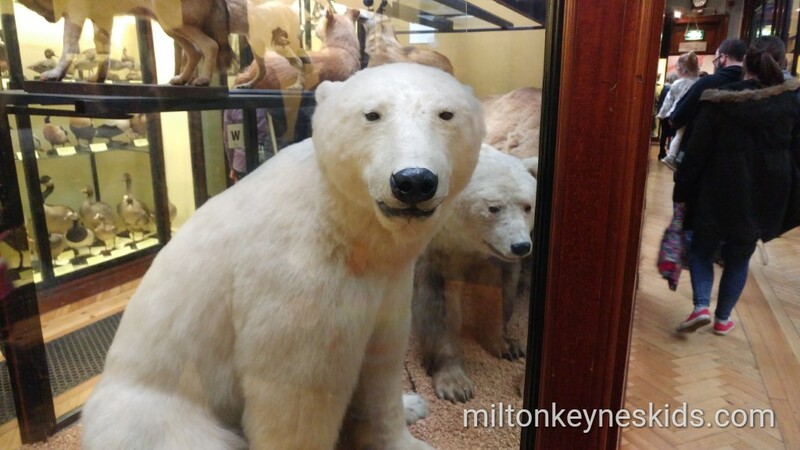 What is it like to park and is there at cafe at the Natural History Museum in Tring? When we visited in January 2018 there was a big problem with parking. There is a small car park next to the museum, but unless you go on a mega quiet day then I wouldn’t even bother driving into it. There is a bigger car park slightly further down but it was closed when we visited so we had to park up on the bank before the bridge. Some cars had parked along the road itself but in doing so, it then proved difficult for others to get down the road so they were driving up on to the path. You may need to park in the town and walk up if there’s no room so allow extra time. There is a cafe in the museum but it is very small. We went in an afternoon so didn’t need to eat whilst we were there but it’s worth taking a picnic or eating elsewhere in town if it’s busy. Where else can we visit locally? There’s a big park next to the museum called ‘Tring Park’. We started to venture out into it. My boys loved the big bridge you walk over the A41 to get to it. There was then a huge expanse of land. When we visited it was so muddy so definitely put wellies on. We didn’t get too far as it was starting to get dark but apparently there is a play area somewhere although we couldn’t see it. Otherwise in the town centre there’s a ‘local museum’ and a short drive away the College Lake Nature Reserve which is apparently very lovely. Ivinghoe Beacon isn’t too far. And if you visit in the Summer / early Autumn, then it’s well worth going to Grove Farm Pick Your Own which we passed on the way from Milton Keynes. It’s great fun picking your own fruit and veg – you can read all about our experience here. 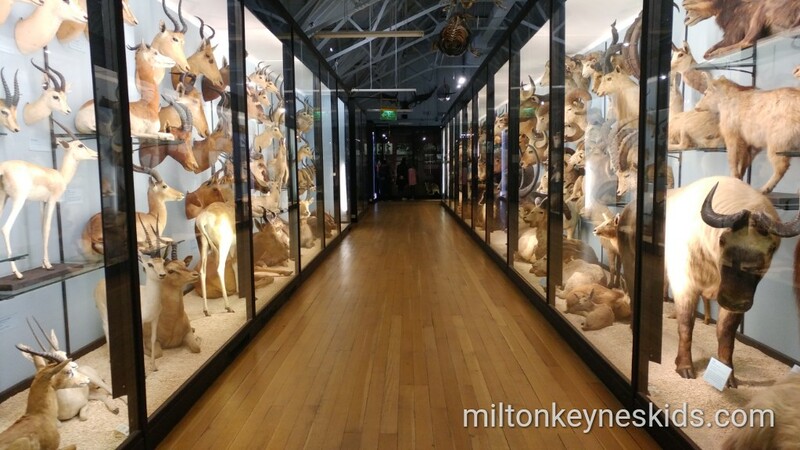 Where else can we visit that’s similar to the Natural History Museum in Tring? 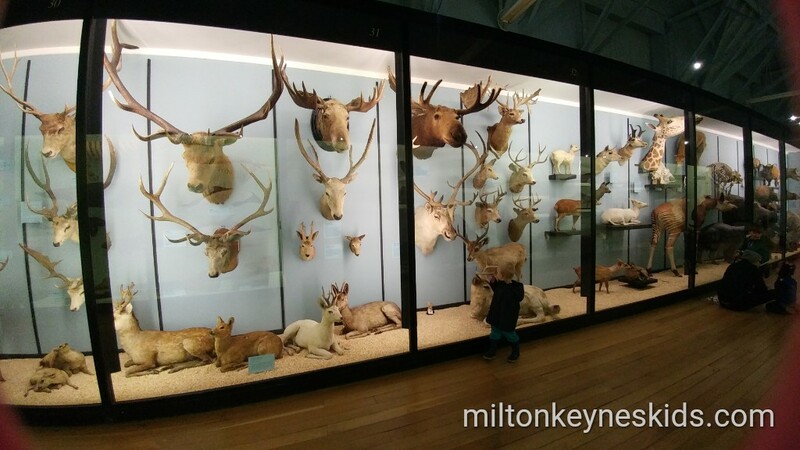 Stockwood Discovery Centre in Luton is a fab completely free place to visit with the kids. They have a very small selection of stuffed animals in one of the galleries, but there’s lots of other stuff to see there too. 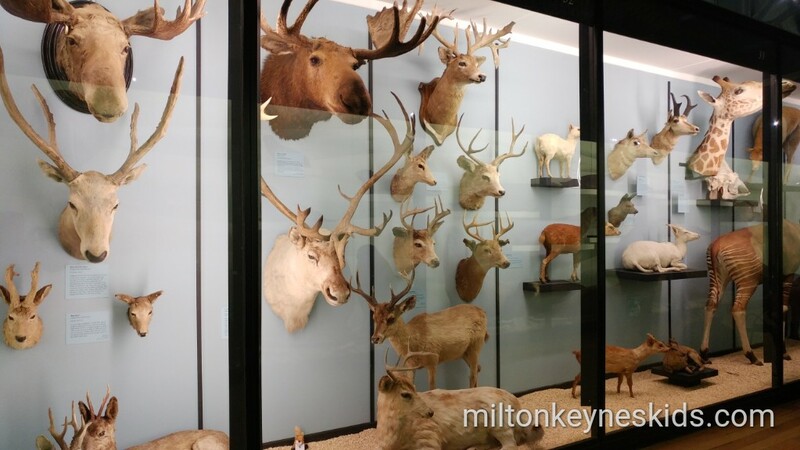 Milton Keynes Museum is also a delightful place to visit. Not free but you do only pay once to get in and can then go all year.